A beautifully executed chamber concert, with excellent soloists on the Mahler songs and the Debussy dances. What a lovely treat it was to spend a couple of hours in the intimate setting of St. Paul’s Episcopal Church in Brookline with this interestingly conceived program and a roster of excellent musicians. 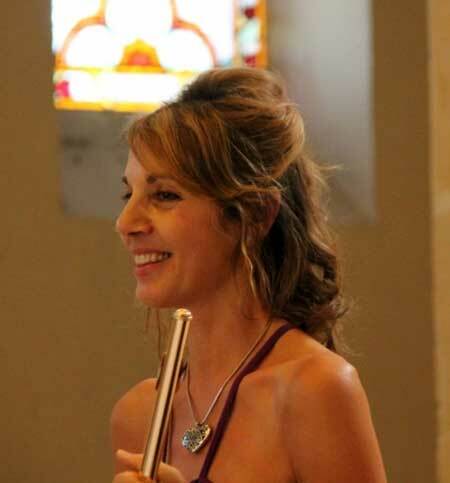 Though Mistral Music, the brainchild of Artistic Director (and flutist) Julie Scolnik, has been around for twenty-two or so years, this was my first introduction to it. A friend gave me the heads up, and now I feel as though a new musical door in Boston has been opened for me. The arrangements generally accommodated the rather large collection of musicians, comprising a small chamber orchestra, for the Wagner, Mahler and Reinberger. The Deubssy had a somewhat smaller contingent, including only the strings to accompany the harpist. That Debussy piece was a singular revelation of the program. Not only was harpist Ina Zdoroverchi’s playing exquisitely precise and evocative, but the piece itself has a kind of magical, almost modal, tonal interior which stands out, in some ways, from much of Debussy’s more pleasantly impressionistic compositions. The Mahler songs were rich and lyrical, but it was mezzo-soprano Kara Dugan’s velvety voice that most vividly caught my ear. I had never heard much of the works of Liechtensteinian composer Josef Gabriel Reinberger (1839-1901) before, but his Nonet, performed by the entire set of instrumentalists (apart from the harp), was a pleasant surprise. It didn’t particularly stun me that I hadn’t heard of him – it was pleasant enough Romantic music, but nothing distinctively so – but certainly well put together and very nicely executed by this ensemble. Perhaps most striking is what seems like Artistic Director Scolnik’s endless energy and capacity for mounting, year in and year out, a varied series of concerts involving frequently new combinations of musicians each time. The results, as demonstrated in this concert, as worthy of note, as clearly are her efforts as impresario. As well, it should be noted, she’s an excellent flutist as demonstrated in her participation in this ensemble. According to Julie Scolnik’s verbal introduction to the piece, this kind of chamber arrangement was made by Wagner himself for his own wedding. A string quartet opens the piece, with lovely honey tones. The winds – oboe, clarinet, horn, bassoon, with a nice, lyrical solo by the oboe. Interesting to hear this so essentially a symphonic work as a chamber piece! That inheritance evident particularly in the lavish cross-string bowings. A nice interplay between oboe and clarinet proceeds. Though the arrangement has some sweep, it doesn’t seem at all like a full orchestra, and the monumental quality is muted. Nice probing accompaniments by the violin, and sweet interplay between the horn and the other winds fill out the tail end of the piece. Beautifully sweet playing from the first violin sets the stage for a wonderful serene ending. A lovely string unison at the outset gets punctuated by the bass. I can’t believe the harpist is doing all of this from memory! A solo violin in extremis. Eerie harp runs, and such beautifully precise playing with wonderful articulation. Great tonal and structural experimentation throughout, inventive, lively. The piece has an exuberant individuality, a bit different from other, more well-known, works by Debussy. The modal quality calls to mind the somewhat obscure music for his ballet Khamma (1913). Continuing appreciation for the harpist’s wonderfully light and articulated touch. The piece is wonderful, with a lyrical cohesiveness throughout, richer and deeper than it seems it might initially could have been. Wonderful punctuations by horn, with a nice little virtuoso part for the violin. It must have been interesting to collect all the musicians for this unique combo, which sort of borders on the symphonic. More violin virtuosity in evidence. Lovely dark minor trio, and then a horn pronounced and punctuated. Great pizzicato unison from violin and viola, with subtle entrances from the clarinet making for a nice playful quality. (Have particularly taken note of the clarinetist’s tone and musicality throughout the program.) Effectively rumbling scales from cello and bass finish it out. Lyrical and dreary, with the violinist’s solo well articulated. Nice interleavings by flute and cello. Overall this feels more kinetic than an Adagio Molto, but what do I know? Lovely moments by oboe, flute and cello round it out. Yes, another time for the first violin to shine, leading out of the gate. Nice harmonic line between violin and cello. A sweet, airy bassoon line is followed by the cello. More virtuosic violin work, with lively and varied recapitulated passages. A sweetly delicate interlude, more modestly paced, follows. Overall: lively and entertaining. So, this is what you get – relative obscurity – for composing just lively and entertaining music? 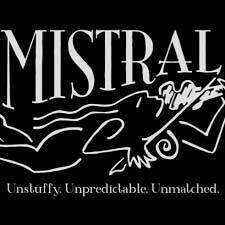 Thank you for your rich, sensitive and insightful review of the Mistral concert. You certainly will attract more attendees and listeners for their coming concerts. Thank you!